The 2014 maintenance upgrades for all versions of KitCAD i3 KGC has been uploaded with the release date of 27th May, 2014. – Added surs ruby converter options for Trimble Sketchup Make 2013 and 2014 compatible output (w32/x86 versions will output older Google Sketchup ruby compatible code by default unless the file of _i3_surs.htm is altered by advanced user/s). – Updated and re-compressed images for interface and help documents (helpful for SEO). – Added plus.google.com sign-in method to OpenID consumer authentication. – Minor corrections to archives files and file folder structure. – Added links to view in HTML4.01 and XHTML1.0 on index page. The XHTML1.0 view does not support KitCADi3ie5.exe toolbar interface interactions – The XHTML1.0 view allows IE12 users to swap from VML to the more modern SVG display of plan view. The 17th May 2014 upgrade for KitCAD i3 KGC r30/r35, and KitCAD i3 KGC r5/r50 versions which MUST be installed/reinstalled after KitCADi3_xampp_localhost.zip/KitCADi3_wampp_localhost.zip, and can be found online at: r5/r50 2014 update release notice. The 27th July 2014 upgrade for KitCAD i3 KGC r30/r35, and KitCAD i3 KGC r5/r50 versions which MUST be installed/reinstalled after KGC_RPCL_3-5_5-0_XAMPP_Upgrade_Setup_2014. * can be found online at: r5/r50 2014_pt2 update release notice. NOTE: Do not install KitCADi3_xampp_localhost.zip / KitCADi3_wampp_localhost.zip as existing KitCAD i3 KGC r30/r35, and KitCAD i3 KGC r5/r50 versions will fail to function afterwards (eg: no new object items will be drawn on plan; but kp2 files can be reloaded/viewed). If required, then re-install KitCAD i3 KGC r30/r35, and KitCAD i3 KGC r5/r50 versions (or backup and then restore the .htaccess file of /htdocs/library/i3). KitCAD users and some Web Browsers will need to clear Web Browser cache so that the updated files will be re-downloaded. This entry was posted on Saturday, May 17th, 2014 at 11:23 pm	and is filed under Bugs and Requests, KitCAD i3. You can follow any responses to this entry through the RSS 2.0 feed. Responses are currently closed, but you can trackback from your own site. Testing KitCAD i3 KGC (localhost), KitCAD i3 KGC r3 (r30/r35) for XAMPP, and KitCAD i3 KGC r5 / r50 for XAMPP versions upgrade installer with the release date of 17th May, 2014. Updated download files, see above for more information. 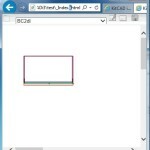 Windows users with Internet Explorer 12 can use the XHTML web page version of KitCAD i3 KGC. 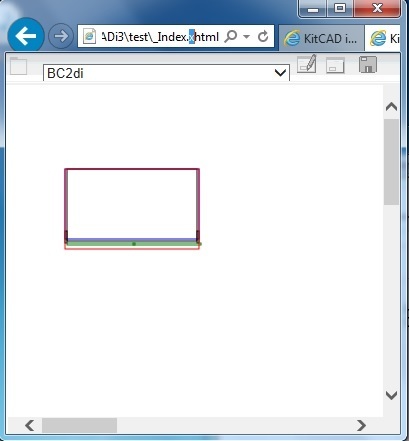 NOTE: Previous versions of Internet Explorer (8,9,10) that do not support using the XHTML web page version of KitCAD i3 KGC will display a download dialog. There is no installer created shortcut icon from the Windows Start button for running the xhtml version of KitCAD i3 KGC. Administrators may add, delete, or alter icons as required. Tested and released KitCAD i3 KGC (localhost), KitCAD i3 KGC (w32/x86) and KitCAD i3 KGC r5 / r50 for XAMPP versions upgrade installer with the release date of 27th July, 2014. KitCAD i3 KGC for XAMPP (KitCADi3_xampp_localhost.zip or KitCADi3_wampp2_localhost.zip) can be updated using the check for update link, from the Index.html page. Due to KitCADi3ie5.exe windows application incompatibility issues with deployment and users requirement for use on more modern systems the upgrade support for the product of KitCAD i3 KGC is being discontinued from the 1st March, 2015. Continued use and offline/web-server manual updating can be achieved using KitCAD i3 KGC rX (KitCAD i3 KGC files may not be included in future updates/upgrades and upgrades may cause incorrect files to be installed/down-or-upgraded). The online version of KitCAD i3 KGC will continue to be upgraded from the KitCAD i3 KGC rX releases.